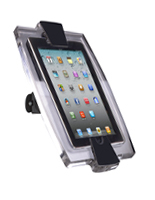 These iPad mini holders, or tablet mounts, are necessary accessories for retailers who use the Apple Mini. Many store owners love using the smaller size, especially for countertop applications. Savvy businesses let the Apple Minis handle customer transactions instead of a traditional cash wrap with register. 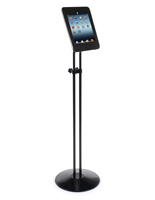 The iPad mini holders save on space wherever they are used, be it counter, floor, or wall installation. Their features are many, so take the time to familarize yourself with what these stand and mount accessories offer when browsing the category. 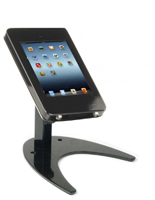 These iPad mini holders are very affordable and provide retailers with great flexibility for marketing their products. 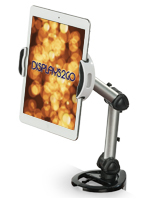 What types of tablet mounts are available for the Ipad Mini? 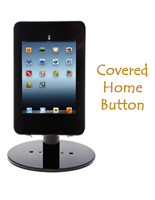 iPad mini holders for counters are the most popular models purchased here. 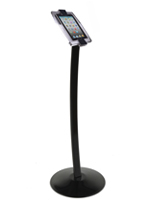 Not only are they used for customer payment, but also for product demonstrations and sales presentations, all at the table top level. 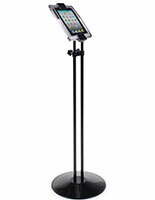 Floor stands have the advantage of strategic placement as they can be placed almost anywhere. 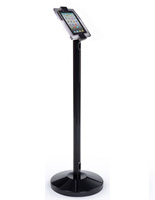 Car dealerships like to offer shoppers auto specs and warranty information right next to the car via one of these floor-standing mounts. Other retailers put them out on the sales floor near merchandise for customers to learn about new items or certain products on sale. 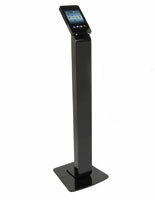 A wall mount goes where no other holder can. These models offer yet another facet to using the iPad Mini. The ultimate space saver, they are excellent choices for use in high traffic areas. 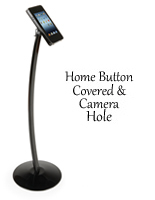 Adjustability is extremely important when it comes to using a tablet mount. In the case of floor displays, it is paramount that the iPad can be adjusted up or down. 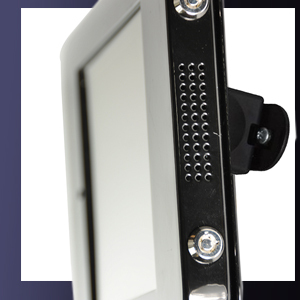 The enclosures feature tilt options too for providing optimal viewing angles. Some holders rotate 360° which comes in handy when the viewer wants to switch from portrait to landscape format. 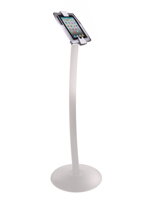 A few of our desktop styles have flexible goosenecks which makes it easy to gain the best position. 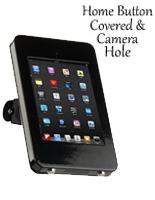 The tablet enclosures, or bracket area that does the holding, comes in two styles: locking or non-locking. 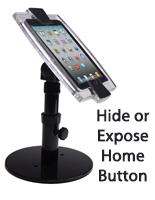 In the case of a retailer or shop owner, it would be imperative that the iPad be locked inside the holder with the stand bolted down for security against theft. 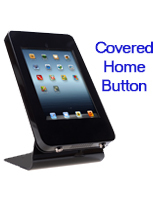 The enclosures also cover the home button as an added precaution. On the other hand, if a homeowner purchases a mount for their own personal use, is it really neccessary their accessory has two levels of lockable features? Probably not. When following a recipe on an iPad in the kitchen, the owner isn't thinking about theft. They're more interested in how easy it is to insert and remove the tablet from its enclosure when needed. 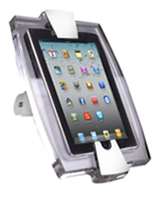 All in all, we sell universal tablet enclosures in both styles!